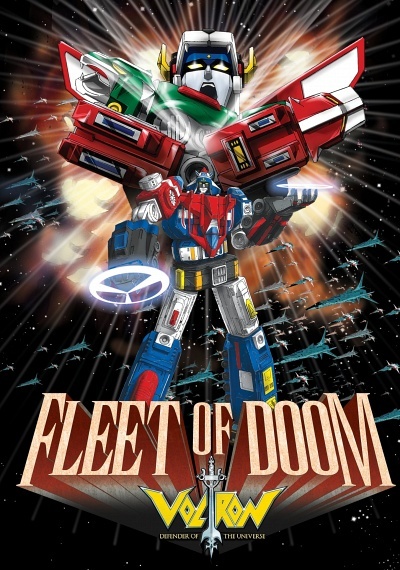 Voltron: Fleet of Doom :: Movie Information :: RabbitTV GO! The ultimate battle to save Earth rages when the defenders of good -- Keith, Princess Allura, Pidge, Lance and Hunk of Lion Force and commanders Jeff, Krik and Cliff of Vehicle Force -- unite for a double-powered defense against their enemies. To obliterate the Galaxy Alliance, King Zarkon and Viceroy Throk form the Fleet of Doom. With Prince Lotor leading his super robeast, can Lion and Vehicle Voltron seize victory?